I absolutely love brussels sprouts. I mean love them! A few weeks ago we signed up for a local organic produce delivery service. I am in love with this service as much as I am in love with brussels sprouts. In a large skillet, add your olive oil, onion and garlic. Sauteed over med-low heat for about 2 minutes. 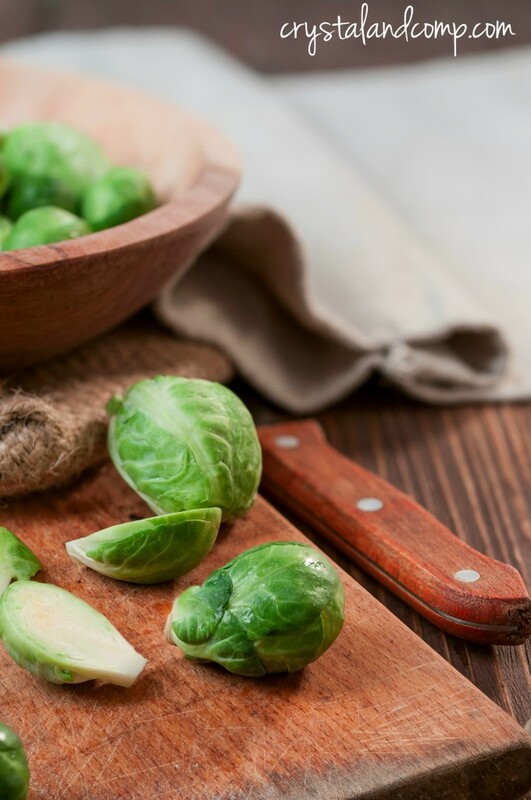 Toss in your sprouts. Stir and coat them in the olive oil/onion/garlic mixture. Add the Kosher salt and a cracks of fresh pepper. Sautee over med-low heat for about 10 minutes or until they reach the desired tenderness. Finally, toss in the crumbled cooked bacon. Mix well coating everything evenly together. All of these flavors are amazing together, let me tell you! Wait no, it is scrumptious! And easy. And healthy! 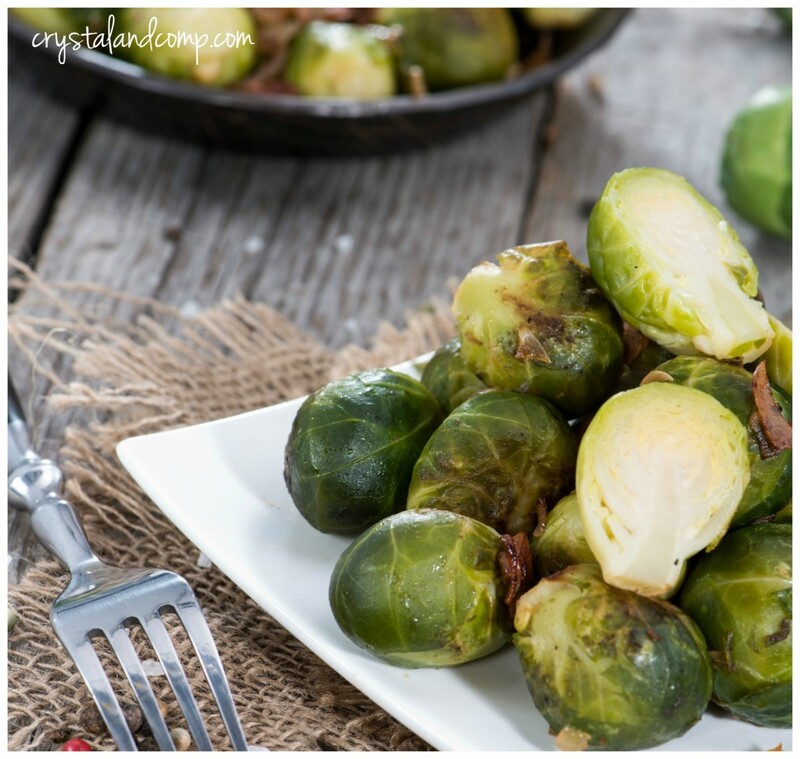 Brussels sprouts are so good for you! That’s it! Plate them up and you’re good to go! I love to serve then with chicken, salmon or even steak. 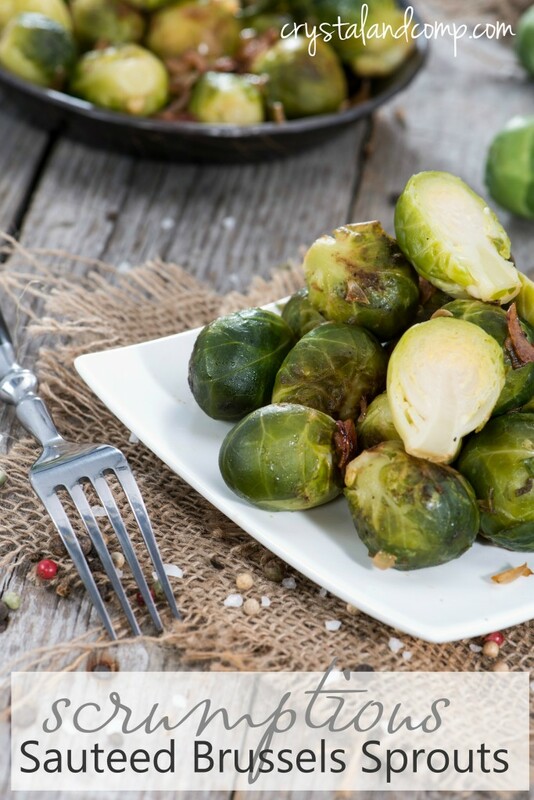 What is your favorite way to cook sprouts? 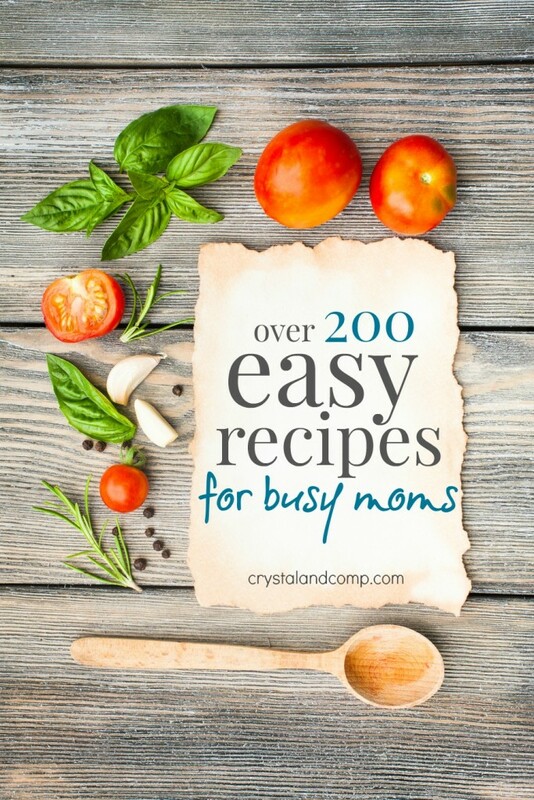 Looking for more easy recipes that are perfect for summer? Check these out! Oh wait. Are you struggling with meal planning? Even in the summertime? Here is how I do it! 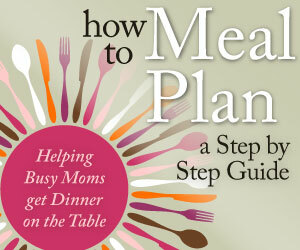 Five easy steps for busy moms to get dinner on the table!